Old House Handbook book helps owners, builders and architects to follow the Morris philosophy with great images and guidance. The Old House Handbook is a completely authoritative guide on how to look after your old house – whether it is a timber-framed medieval cottage, or an eighteenth-century town house or an example of Victorian or Edwardian speculative development. Taking their lead from the conservation principals of The Society of the Protection of Ancient Buildings (SPAB), the authors’ approach is one of respect, restraint and repair rather that ‘restoration’ which can so easily destroy the rich heritage legacy of old buildings. 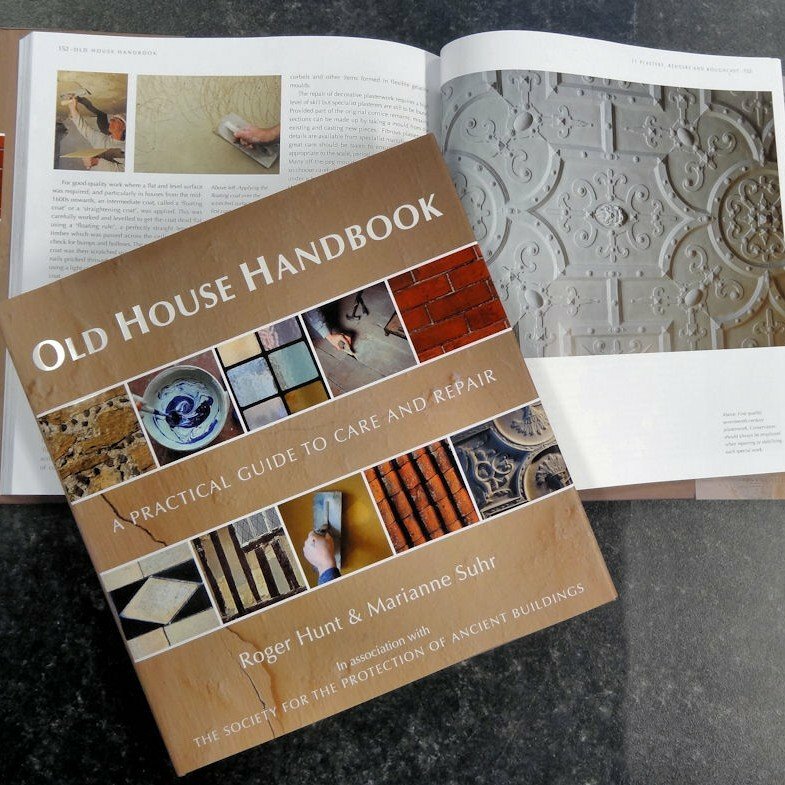 From the foundations to the the roof, from the need for modern services to the maintenance of traditional paintwork and finishes, from windows and doors to breathability and damp in walls and floors, The Old House Handbook provides richly and deeply informed practical guidance. The Old House Handbook is essential reading on maintenance and repair for all those with an old house. ‘This book is exactly what it says on the cover – a Practical Guide to Care and Repair of Old Houses, and it is a good, well-written beautifully illustrated book based in deep experience and passion for the subject. To produce something so complete and accessible is rare. I can only say to the authors: well done indeed.’ Building Limes Forum. Roger Hunt studied stage management at drama school and has worked in film, television and photography. A major turning point in his life was attending a weekend homeowners’ course run by the SPAB. Loving history and having been intrigued by building techniques and materials since childhood, he then started writing about old buildings and their construction. He now contributes to magazines on old and new buildings, history and, more recently, sustainability issues. He is the author of Rural Britain: Then & Now, Villages of England and Hidden Depths: an archaeological exploration of Surrey’s past. Marianne Suhr, MRICS, SPAB Lethaby Scholar, is a Chartered Building Surveyor specialising in the repair of historic buildings. After completing a scholarship with the SPAB she worked for seven years in architectural practice, then concentrated on hands-on repair projects including three very different old houses. She was a co-presenter of three series of BBC2’s Restoration and has also fronted the Discovery series, Project Restoration. She works part-time for the SPAB, running workshops around the country, teaching builders, home-owners and architects how to repair old buildings properly.